I got shown Paul Robertson’s pixel work and I was instantly instilled with excitement as my eyes danced around the screen of my laptop. 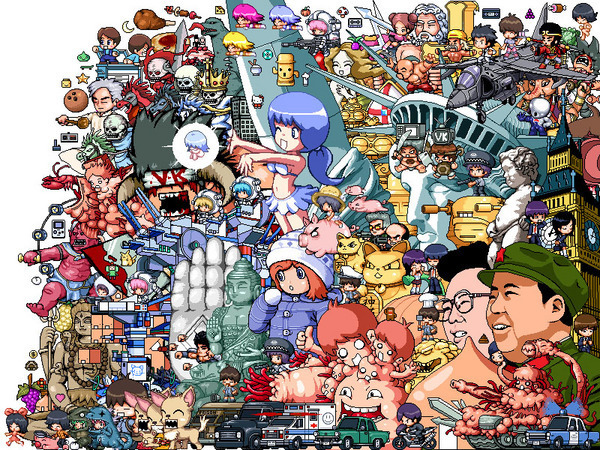 The pixels caught me, as did the nod to old school video games and the reference to the absolute bonkers of Japanese otaku. His work seems to range from the absurd to the utterly obscene, but all the time keeping energy and excitement. Each of his pieces give your eyes so much to look at that you can find yourself sat there for hours! His animated gifs are completely brilliant but he also manages to create a sense of movement in his static masterpieces which appear to jump around with life before your eyes. One of the first things I saw was “Pirate Baby’s Cabana Battle Street Fight “, a 12minute, black and white animated movie. 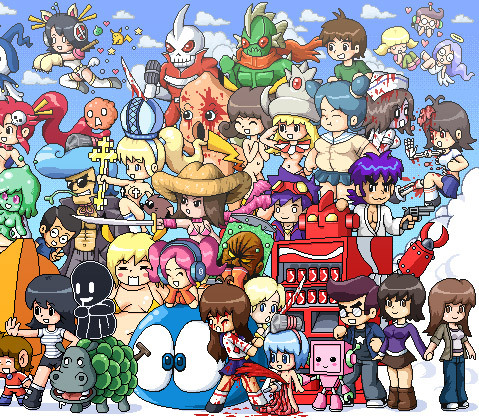 It depicts a scroller video game heavily influenced by cult 1980’s platform games such as Double Dragon, Bubble Bobble and R-Type. Two male characters fight their way through a building full of zombies, humans, giant grubs and octopuses to rescue a woman held captive by the main antagonist, a pirate baby!!! This drew me in and should be checked out by one and all! 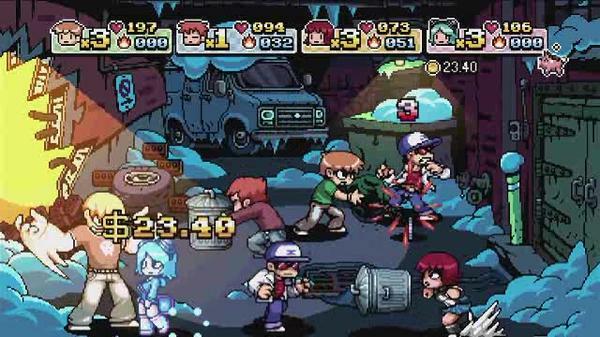 Paul is probably known most for his work on the Scott Pilgrim vs the World video game, being responsible for designing and animating the games sprites and effects. Having fallen in love with the comics and spending hours on the video game, this just added to my enthralment of finding this Australian chaps work. 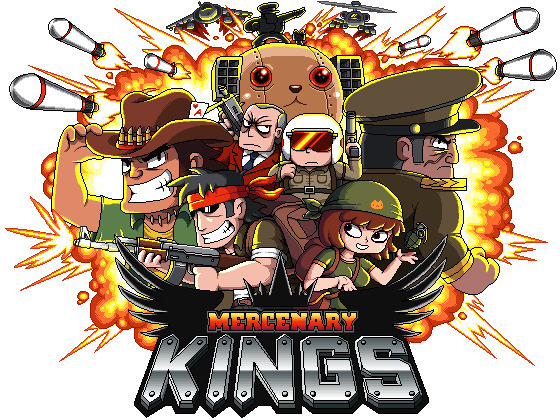 He is currently working with small indie company Tribute Games, along with the rest of the team behind Scott Pilgrim vs The World, on a 2D action game called Mercenary Kings. Whether he is working with Pokemon, manga ladies, meat buns, pirate babies, or zombies; I find everything he does brilliant. His work inspired me to take on a massive cross stitch project . I could blame him for arthritis, loss of social life, addiction to colour palettes of thread, but actually I find myself applauding him and even though I am miles away from completing my first rendition of his work I can’t wait to start the next. This man is an absolute pixel legend whose work should be admired by many.